Adam Barralet's Bloody Good Things To Know: Should we be scared of Sharks? Or should they be scared of us? Should we be scared of Sharks? Or should they be scared of us? Richard Fitzpatrick is a researcher and film maker who we've worked with very closely on our Coral Sea campaign. Richard has a new film premiering on the 18th on Discovery Channel (Mysteries of the Shark Coast), as part of Discovery's Shark Week (18th - 24th). 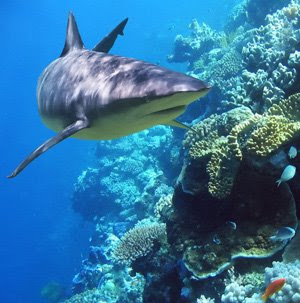 The film tracks to lives of lots of different sharks in the Coral Sea like tiger sharks, grey sharks and white tip reef sharks. WWF are working with Discovery Channel on Shark Week to help educate people about sharks - they're incredible creatures and shouldn't be feared.